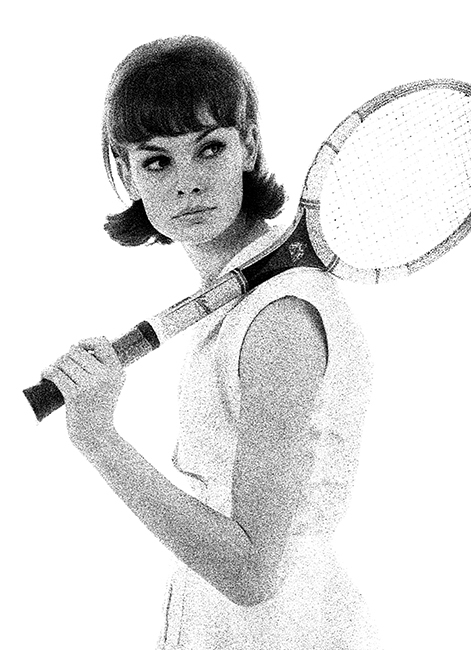 Jean Shrimpton modeling in a Tennis outfit for Vogue in April 1961. The article titled “The Out-Siders” showed Shrimpton in a cotton dress designed by Teddy Tinling – The English tennis player, fashion designer, author, and spy. Quote ref: E_0769_01 if you require press information regarding this image.